Senator Barack Obama’s Victory Speech! Senator Barack Obama’s historic victory has given many Americans a reason to never stop believing in their dreams! My grandparents would have loved to see the day where a black man is The Democratic Nominee for the Presidency of The United States! 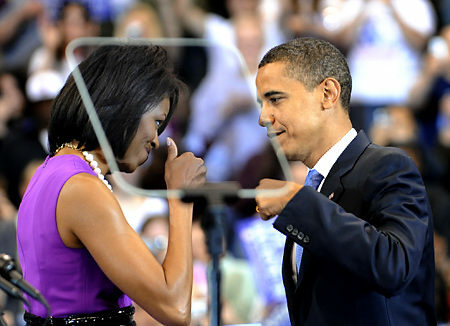 Senator Obama’s victory will prayerfully inspire many young black men to work even harder on accomplishing their dreams! This goes to show that we shouldn’t let anyone limit our dreams! This is my Letter to the Editor of The Commercial Appeal that was published in Early May! I grew so tired of reading so many hate-filled comments by some of the readers of this paper about Senator Barack Obama, and Rev. Jeremiah Wright. Many of these people who commented also wanted to give African-American Churches a virtual instruction manual on how and what black preachers can preach about. In response to some of these seething comments, I submitted this letter to the daily newspaper in Memphis,Tennessee! Trinity United Church of Christ Holds Prayer Vigil for Rev. Jeremiah Wright! Trinity United Church of Christ held a prayer vigil to support Reverend Jeremiah Wright, who was the former Pastor of Senator Barack Obama. Many congregants of the church say Wright has been unfairly portrayed by the national media.